SKU: n/a. Category: Pearl Pendants. 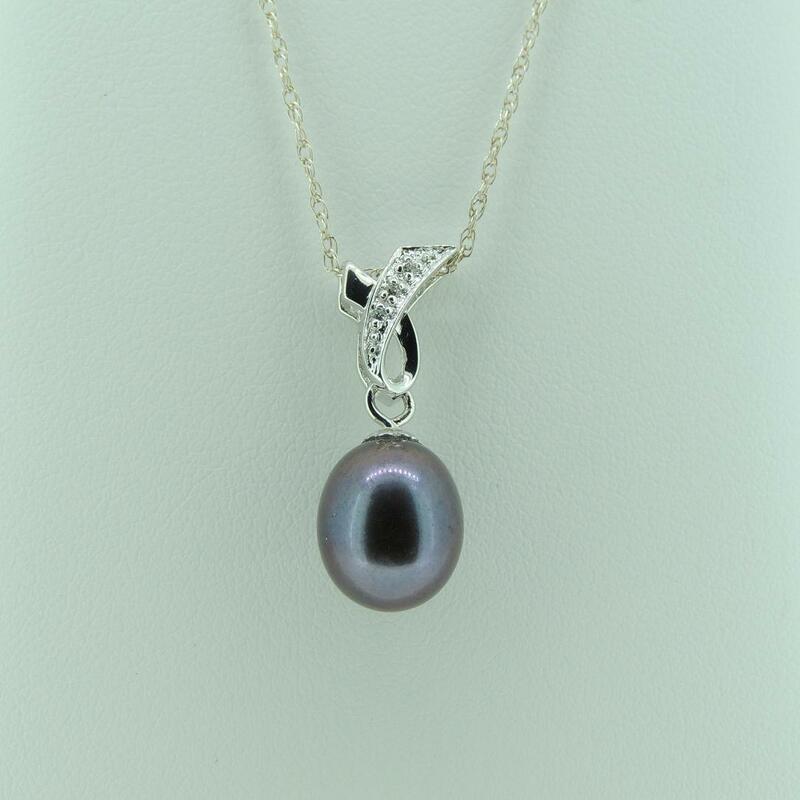 Cultured freshwater drop 9-9.5mm pearl pendant with cubic ziconia. 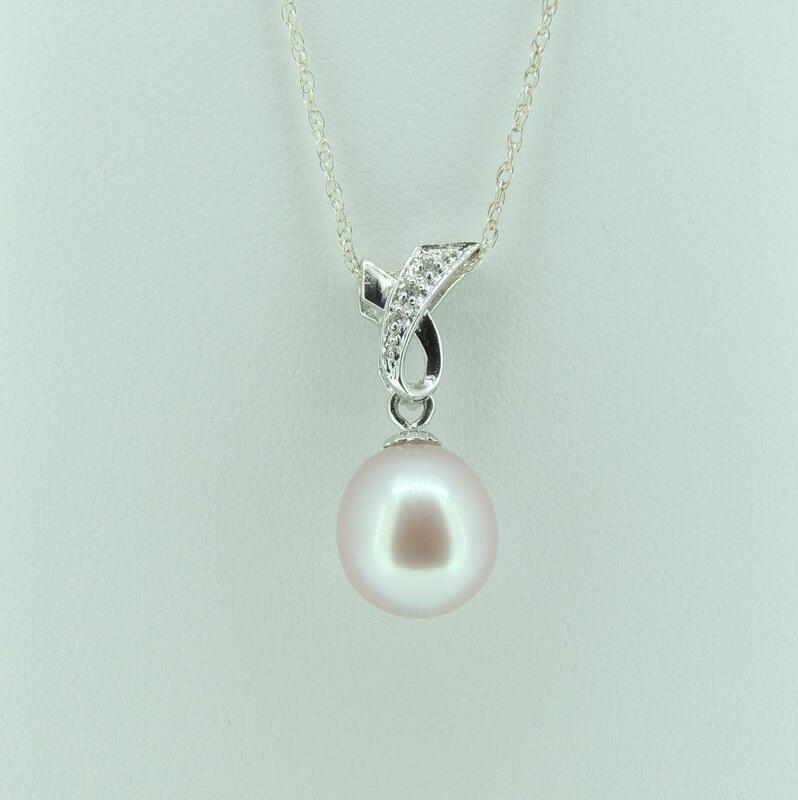 Pendant is available in three pearl colours: white, pink and black. 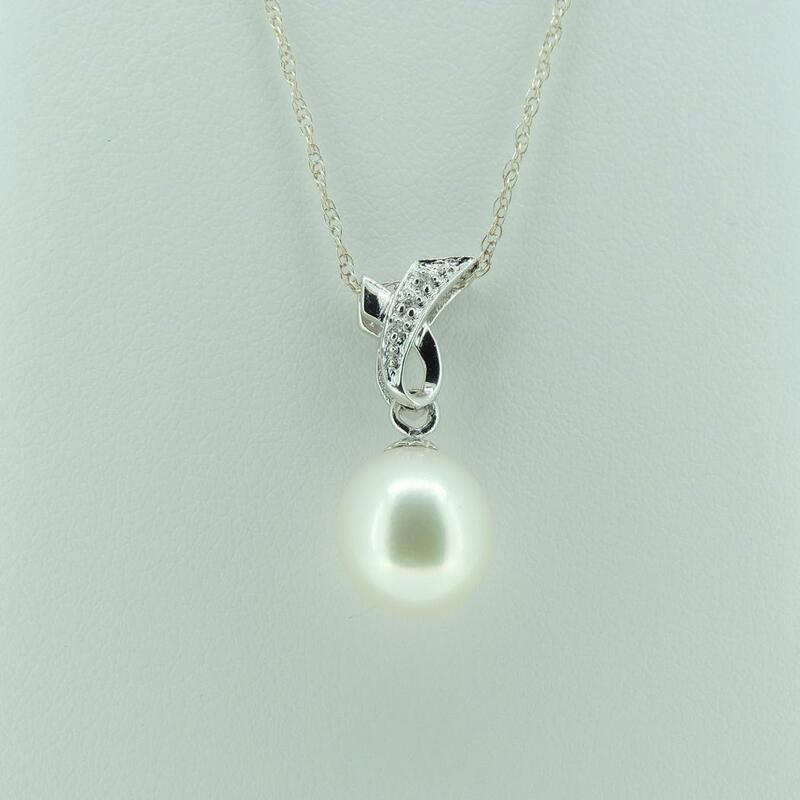 The chain is not included in this offer.